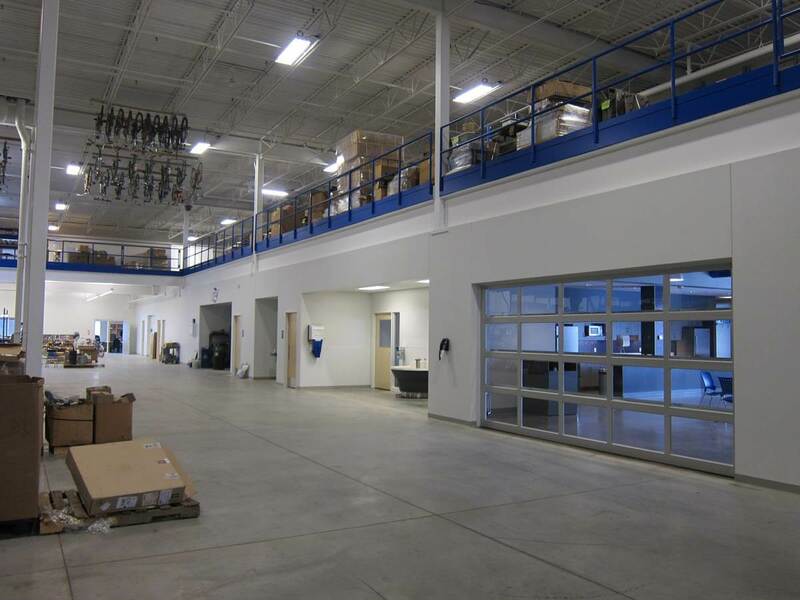 The project includes the design of a one story office/manufacturing/warehouse building located in Oakdale, MN. 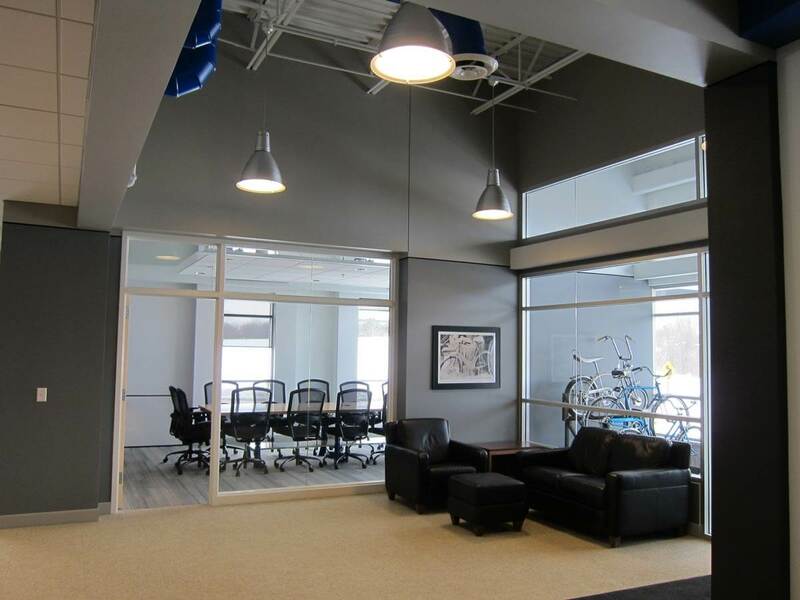 We worked closely with the client to develop and plan the site, and are also responsible for both the exterior building design and build out of the office space. The building is steel frame construction with an exterior consisting of precast panels, metal panels, windows and masonry. 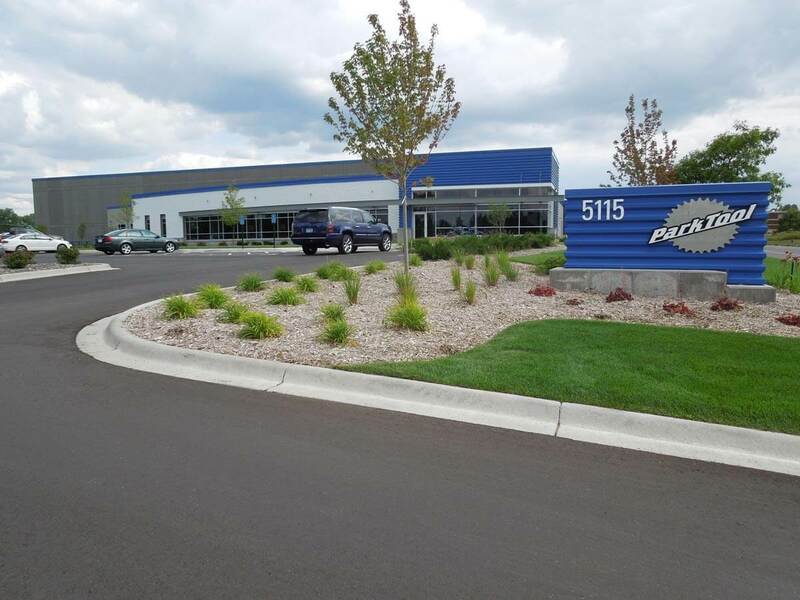 Serving as the “gateway” to the City of Oakdale, MN, the building is prominently located and displays a contemporary design with blue corrugated metal panels as a branding element. 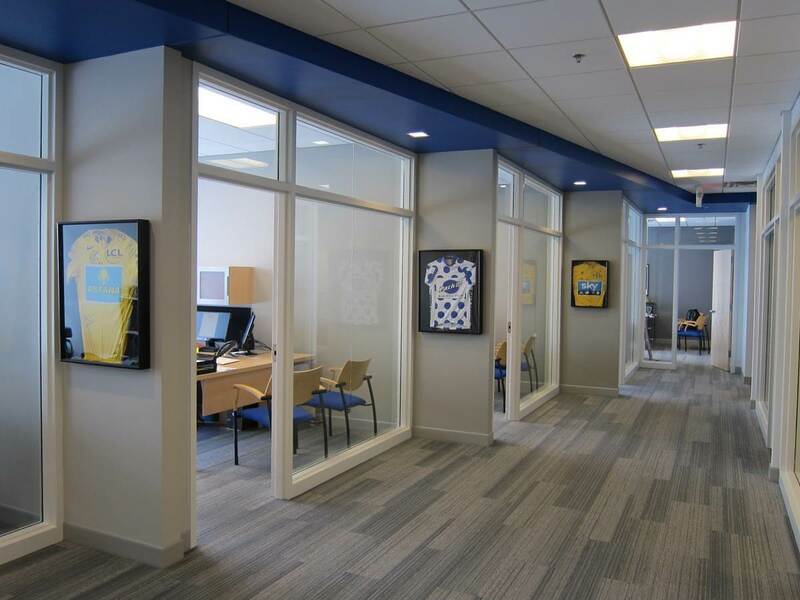 This element is carried through into the office and manufacturing areas of the building. Sustainability was a consideration throughout the project from the enhancement of wetlands and storm water retention on the site, to the 90% recycled tires on the flooring inside. 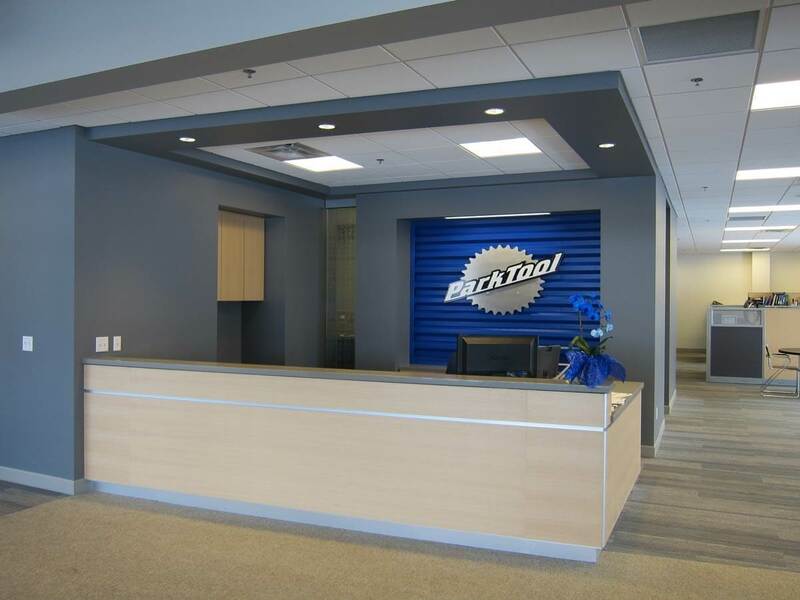 This building provides many increased efficiencies for Park Tool and gives them the international image they seek to continue attracting domestic and international partners. 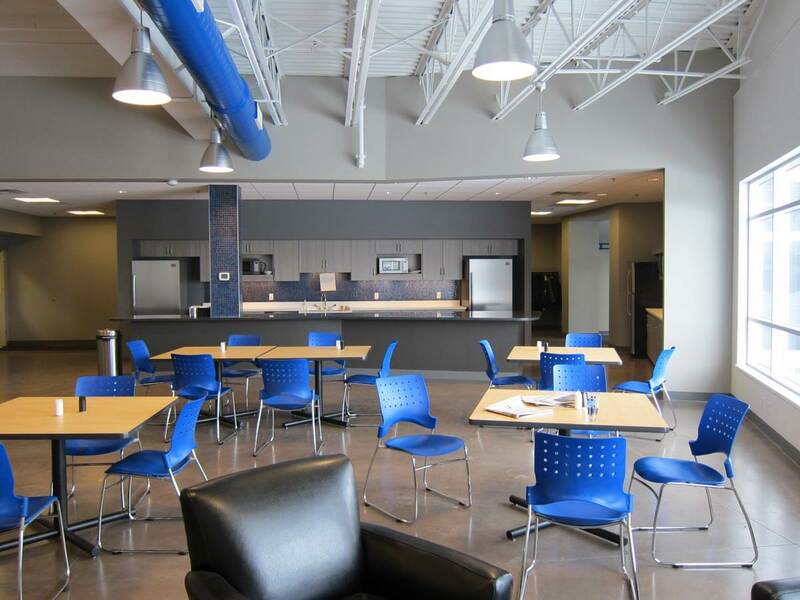 From our initial meeting until the day we moved in, the Mohagen Hansen team accommodated our unique needs and exceeded our expectations at every turn. We were extremely impressed with their creativity, attention to detail, efficiency and especially with the personalized care we received. In the end we got just what we wanted and more. I am pleased to wholeheartedly endorse and recommend Mohagen Hansen Architecture | Interiors.